Squash is the ultimate combination of skill, agility, fitness, mental resilience, and intelligence. Our training hones all these attributes through court and physical training. Court trainings include rallies and drills which are fundamental but important skills required to play a decent match. After all, no matter how tough a game is, every squash player goes back to their basics and play on from there. As the time ticks by, our breathing gets heavier, our legs get tired and our shots get looser. This is the crucial moment where our fitness plays a significant role in determining a win and a loss. Our regular physical training ensures that every player on the team is able to endure a full match. To add on, our weekly sprints and long runs also help us in preventing the fatigue feeling after a long match. So where do we attain all these fitness and skills? Well, it all takes place 3 times a week at Serangoon Gardens Country Club and each session lasts for about 2 to 3 hours. Training usually falls on Mondays, Wednesdays and Fridays. However, during off season periods or exams, training is shortened to only 2 times a week. 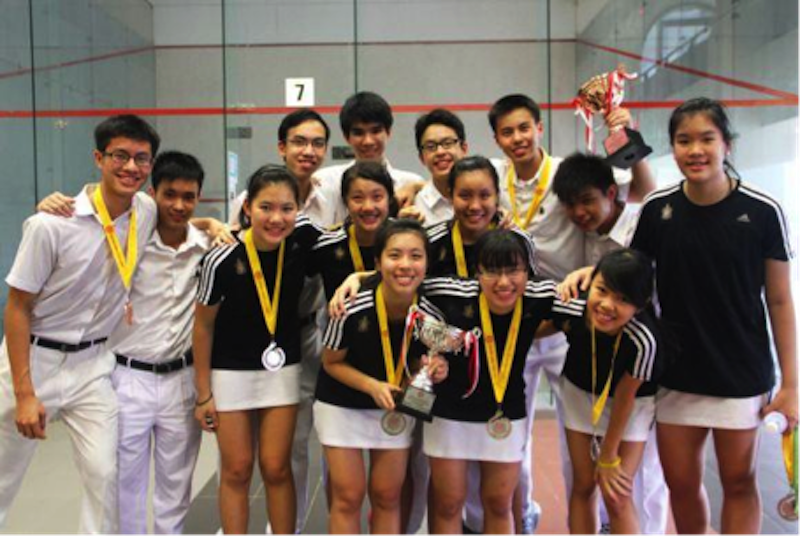 For the past few years, Raffles Squash is proud to have had such a dedicated coach who has not only been with us through numerous years of Nationals, he has also been a friendly mentor who was always there to give us advice and support. With an amiable coach, trainings have always been fun and enjoyable! 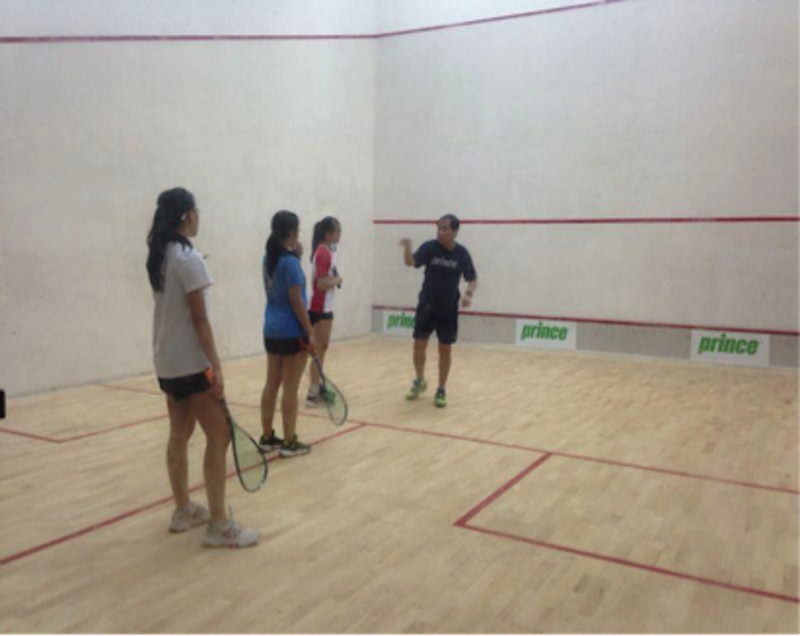 Knowing how to have fun is also one of the things that Raffles Squash pays much attention to because we believe that happy members will not only have a closer camaraderie, everyone will also be encouraged and motivated to train harder. Indeed, the time flies when we are training! So enough said about our training sessions. Let’s enter a squash court and learn more about this unique sport. Welcome to the squash court! The red lines denote the boundary of the play area and all shots must be within the top lines and bottom lines. Right now some of you might be thinking that aiming at such large walls is not a problem, but after you have considered how a point is won, playing squash is no easy feat! 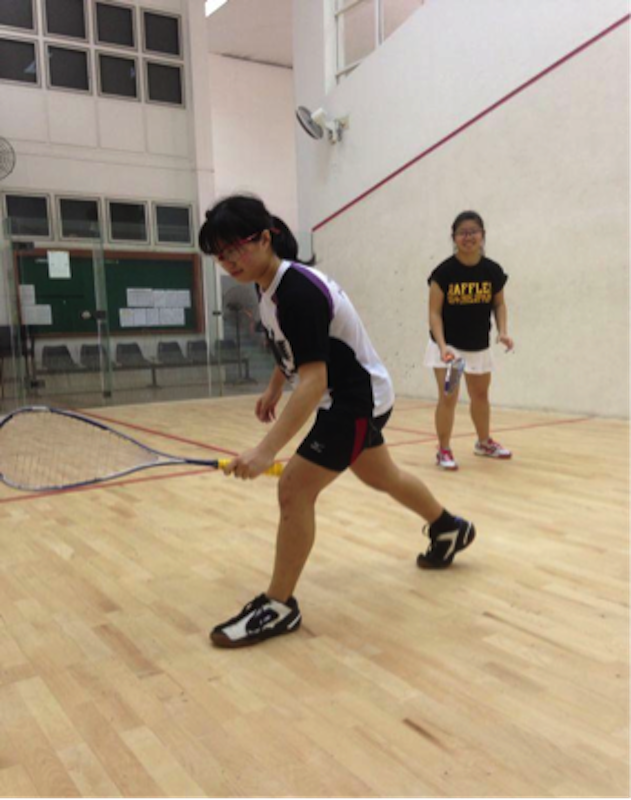 Squash is a mentally and physically draining sport which requires game tactics and strategies. Even having a perfect game plan does not always guarantee a full proof win. But no worries, with some practice and hard work, you’ll definitely be driving that ball at an amazing speed. 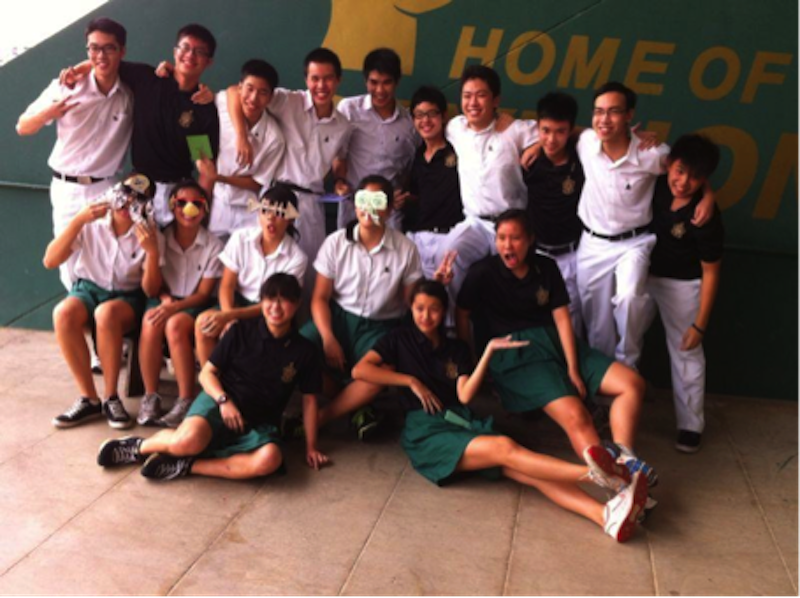 Since squash is a small CCA, the team is very close. 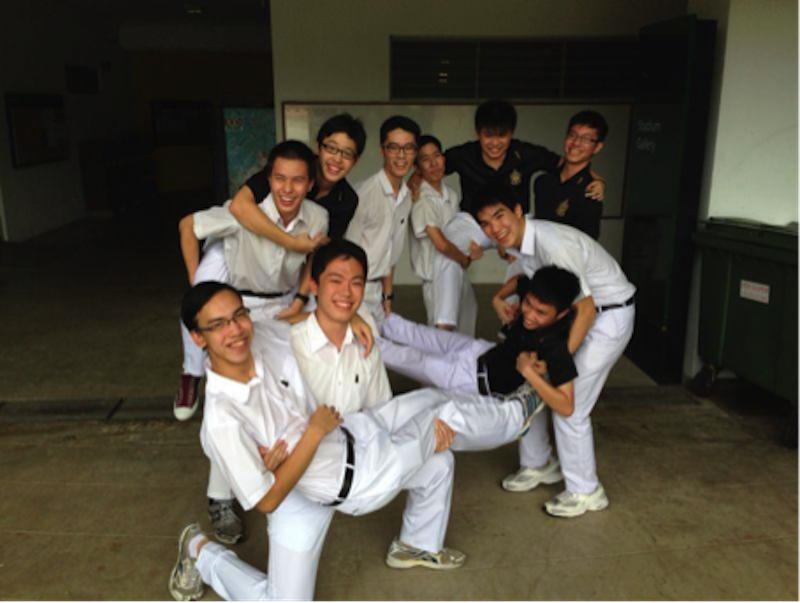 We all get along very well together, and provide moral support to each other during matches and exam periods. We also enjoy lunch as a team after some training sessions. And so, we hope you got a better idea of what Squash is and we really hope you’ll sign up!